May I have your attention for a minute ? Wednesdays seem to be the days when I am announcing things in this new year, doesn’t it? The first thing: perhaps in honor of my mother, grand-mother, and great-grand-mother who taught me almost everything I know about pot-au-feu — Sundays were the days when we would eat it when I was a kid. I have written an entire article about it, ” Bony Stew Sticks to your Ribs“, with its recipe (Provençal Pot-au-Feu), in today’s Boston Globe Food Section. The second thing: the Menu for Hope raffle results have been announced. Can I remind everyone how wonderfully successful the event was? $91,188.00 raised, with an increase of 50 % from last year. A big thank you to Pim and all the organizers, and to every one of YOU who generously donated. 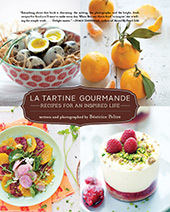 My price, the Salt and Pepper cookbook by Jody Vassallo, will go to Nicholas M Harvey. Many congratulations! Great article, Bea! Boy, do I love me some slow-simmered short ribs. Thanks again for donating this prize. 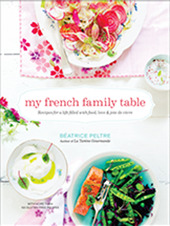 The book looks great, and I can’t wait to cook from it. absolutely lovely. and i love those mini carrots! i used to eat them in salads almost every day last year — they have so much more flavor than the bagged baby carrots you can buy at the grocery store! Very nice article, Bea. I wouldn’t mind this dish now, after having been outside training this beautiful winter day. Sunshine, a couple of degrees below freezing and snow — only think lacking is a good meal. I love the idea of multiple courses coming out of one pot. I suppose you could make this in a crockpot, couldn’t you? Looks incredible. Actually one of the best best food shots I have ever seen. The whole dish shouts winter warmth, but a clean tasting winter warmth. Great exposure and colour to your work. We would like to introduce our website, http://www.foodtube.net/ It’s similiar to youtube except that it’s all food videos. You can find video recipes from many countries around the world. You can also add your own video, or star in your own! Thanks for checking out the website. Please spread the word. Have fun! Beautiful recipe, just perfect for this cold weather we’re having. 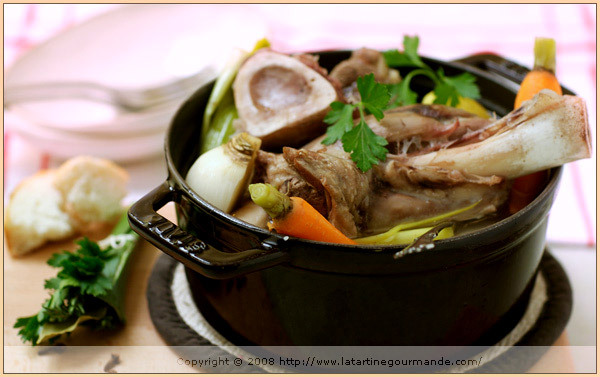 Le pot-au feu??? un régal… delicious, absolutly délicious!! J’y mets comme morceau de boeuf, de la queue de boeuf, coupée en tronçons, viande très tendre et goûteuse. ainsi que des os à moelle servi avec du gros sel dur des tranches de pain grillé, avec le bouillon dégraissé la veille. Good appétite! I appréciate your photographies. My partner and I recently had a lovely dinner at Pot Au Feu. Atmosphere was quiet and attractive, service was friendly, and the food was very good. We thoroughly enjoyed the experience.